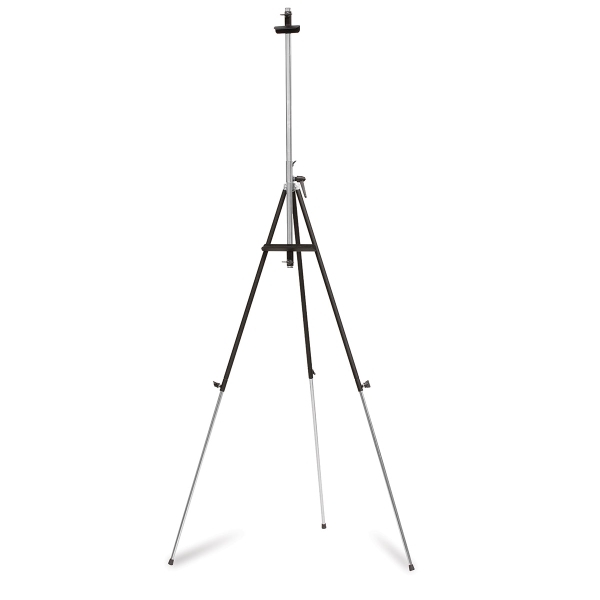 The portable Richeson Italian Steel Tripod Easel is made of high-quality steel with sturdy fittings and a black and chrome finish. 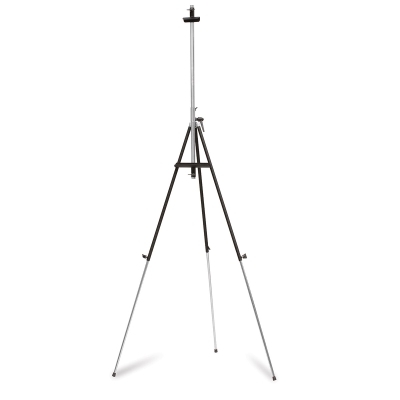 While a lightweight aluminum easel might blow over in the wind, this heavier steel easel stays steady. Adjustable to a vertical or horizontal position. Weighs 7 lb.